Grandparents of child say they told child services something was wrong in May. A child who police say died from long-term abuse last Friday was visited by child abuse investigators in May, who found "no pattern" of maltreatment. An investigative summary obtained by First Coast News shows that five months before Zykerria Robinson's tragic death, a state Department of Children and Families investigator described the girl as "very healthy and talkative." 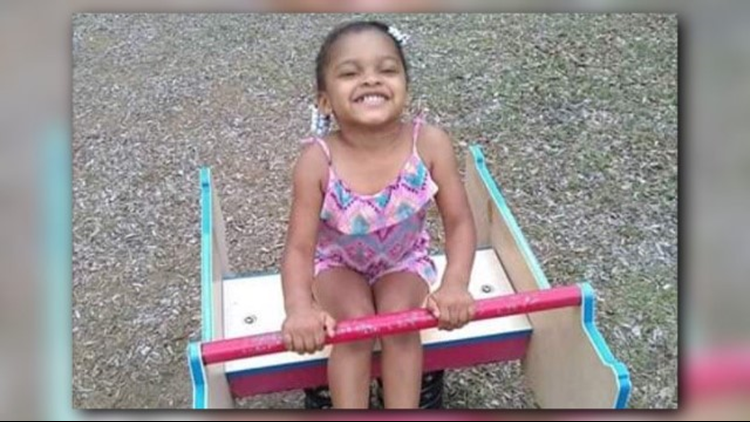 Zykerria died after being taken off life support on Oct. 19, according to a DCF report. 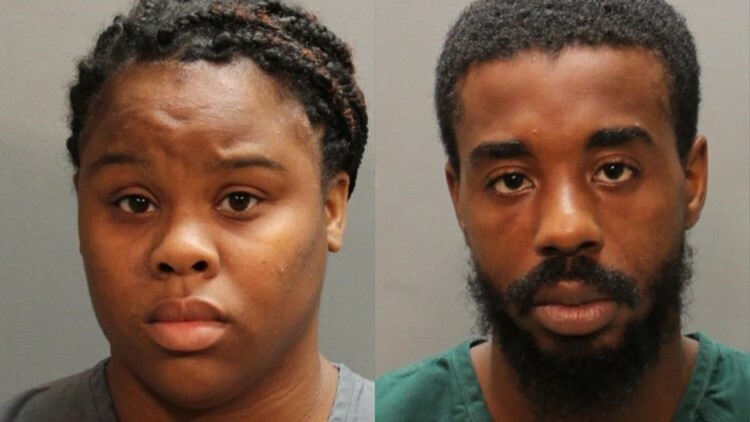 JSO found the child unresponsive in the Oak Tree Apartments' home of mother Michelle Cannimore and her boyfriend Jonte Harris. Police arrested the couple Friday on child abuse charges. Cannimore initially told police she found Zykerria face down in the tub, but later admitted the scenario was a lie, according to the Jacksonville Sheriff's Office. 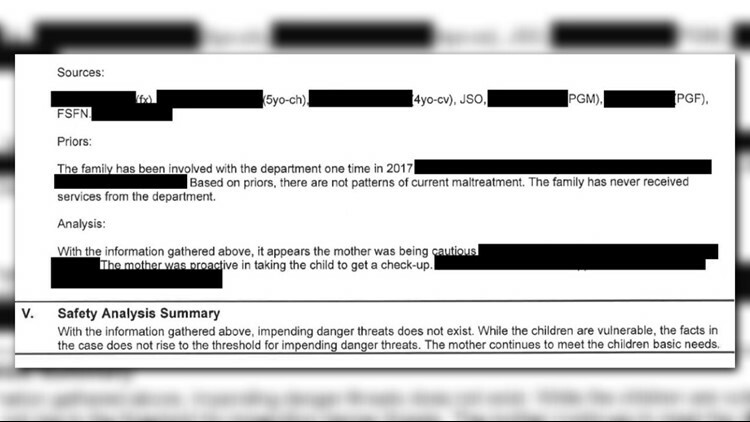 The homicide report details horrific conditions including Harris admitting he left the nonresponsive child lying on the couch for 7 hours. Police say neither suspect called 9-1-1 until the following day. Medical examiners found four adult human bite marks on her body and multiple injuries from long-term physical abuse. According to the newly obtained report, DCF interviewed Zykerria and her 4-year-old sister and a man identified in the report as her father. (It's unclear if DCF interviewed Harris or Zykerria's biological father.) Based on the interviews, the in-home investigation was closed. "While the children are vulnerable, the facts in the case does not rise to the threshhold for impending danger threats," the report reads. Zykerria's paternal grandfather, Henry Doyle, said he had been trying for months to see his grandchildren, claiming Cannimore no longer allowed him and his wife to visit. "Thinking back on it now, she didn't want us to see the bruises," Doyle said. "Everyone let us down. We tried to get people to come over to check on our grandkids, we weren't getting anywhere." He said the May investigation by DCF likely came after he contacted child welfare services about Zykerria and her sister needing help. "If one person could have stepped up and went in that apartment and checked on our grandkids," Doyle said. "She would probably be alive today." Zykerria's is the 38th child death in Duval County investigated by DCF so far this year. DCF is still working to complete a full Critical Rapid Response Team report in her case. That anyone would hurt an innocent child is shameful and DCF will work closely with the Jacksonville Sheriff’s Office to hold anyone responsible for her abuse fully accountable under the law. The GoFundMe account has been set up to help the family with funeral expenses.